There are a lot of choices for weather apps on Android - you can see the best in Rita El Khoury's roundup from yesterday. 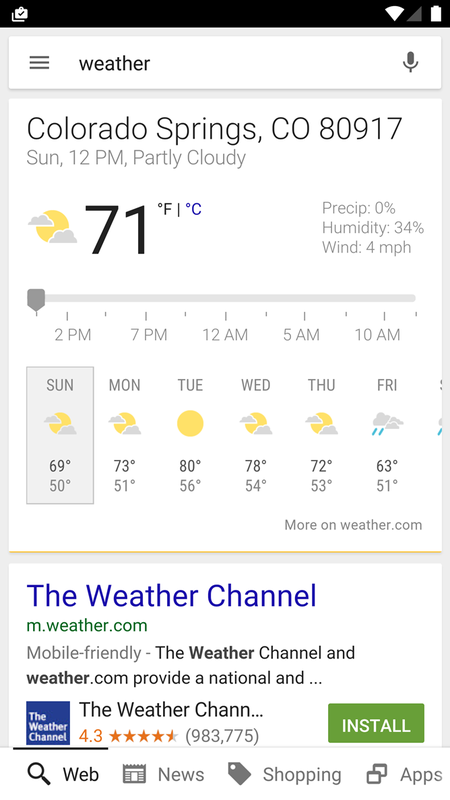 But if you prefer to have as few apps on your phone as possible (because Windows RAM-saving behavior dies hard), Google has just improved the built-in weather function of its mobile search. Specifically, the Knowledge Graph function that shows you weather for a specific location now extends for ten days. It's not a huge change, but it makes it easier to figure out the long-range forecast at a glance. The Search function even allows you to break down the day-by-day forecast by hour with a handy slider. Typical searches for "weather" will simply return your current location, while general or specific searches will get you down to the city level. Keep in mind that even the best forecasts tend to get a little fuzzy after more than five days out. Information is gathered from Weather.com. 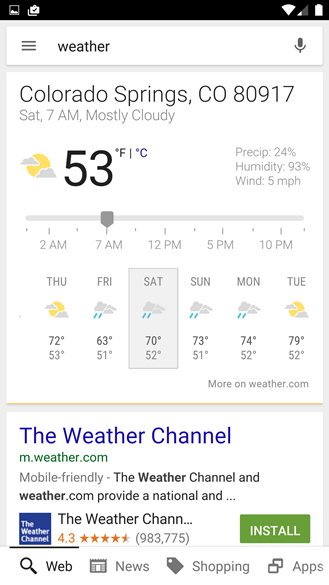 Oddly, this makes the weather function of Google's web search more long-reaching than the one built into Google Now (five days, like the old mobile web search) or the News & Weather app, though the latter does give hour-by-hour breakdowns for temperature, precipitation, wind, and humidity. Even the desktop version is limited to eight days, for some reason. 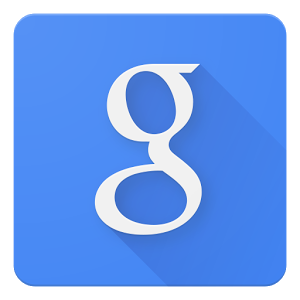 The search function is especially handy for "OK Google" voice searches.